Mower discs 16 pcs. 20 pcs. Mower blades 32 pcs. 40 pcs. Wear skids 12 pcs. 16 pcs. High-cut skids 12 pcs. 16 pcs. High-cut skids inside / outside 2 pcs. 2 pcs. 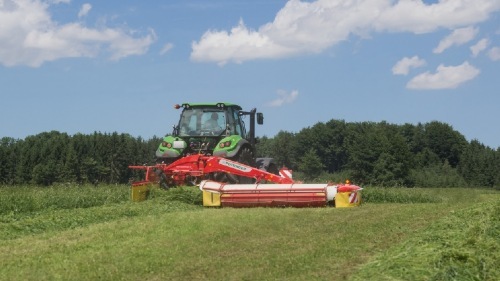 The heart of PÖTTINGER disc mowers is the cutter bar, proven over thousands of cuts in the field. 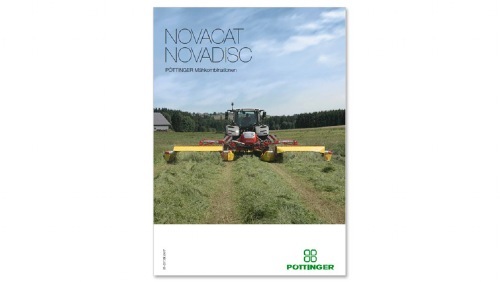 NOVACAT disc mower cutter bars are developed and built at the company's main plant in Grieskirchen - a quality product made in Austria. First-class cutting quality, low drag resistance and strength are the trademarks of these cutter bars. Engineered details guarantee you reliable operation and contribute significantly to an extended service life. 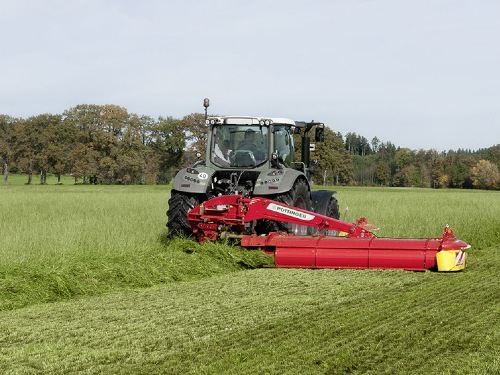 The rounded, low profile front edge lets the cutter bar glide smoothly over the ground and separates the crop tidily from the sward. 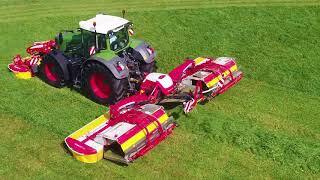 The conveyor effect has been improved by the rounded conical surfaces of the mower discs. 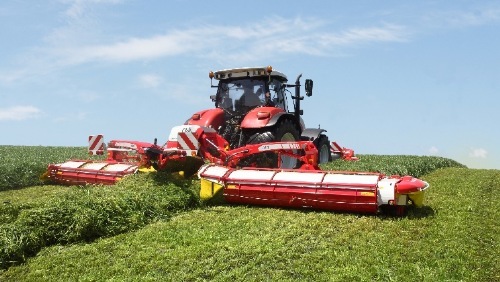 The crop flows through smoothly and uniformly, maintaining full cutting capacity in all operating conditions. 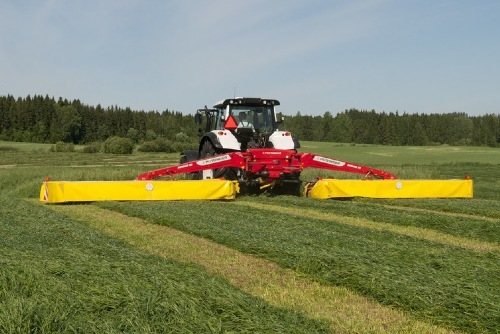 Integrated paddles keep the cutter bar surface clean. 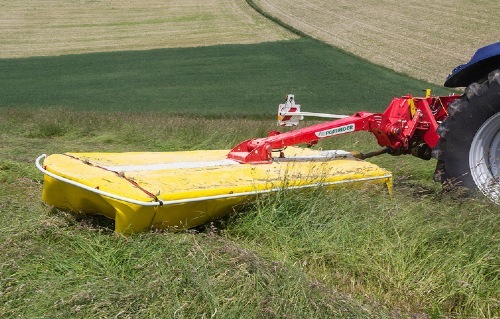 The sleek cutter bar design is only 28 cm deep, perfect for enabling the best possible ground tracking. 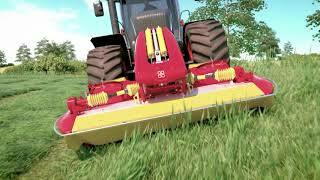 The mower blades rotate very close to the surface of the cutter bar and the counter knife. 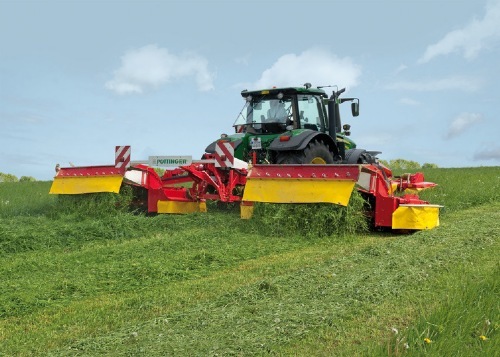 The optimised overlap of blade paths ensures a clean and uniform mowing pattern. The oval, low profile mower discs are made of hardened fine-grained steel. Quick-change blades make maintenance easy. 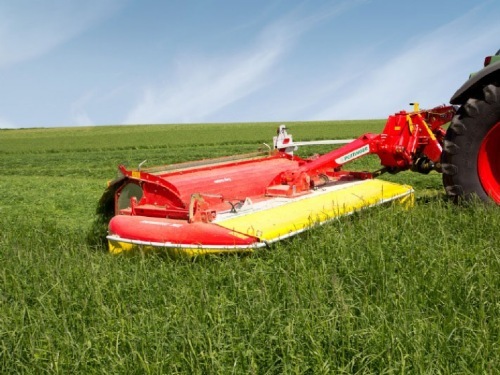 These improve the crop flow and enable swath formation. Durable, twin race tapered bearings with a theoretical bearing spacing of 60 mm are extremely stress-resistant. The cutterbar gear drive runs in a straight line with virtually the same sized gears. There are always two teeth in contact with a tooth width of 20 mm. All gears are hardened and machined for smooth running and a long service life. Wide skids made from hardened boron steel to resist impact and prevent the build-up of soil. 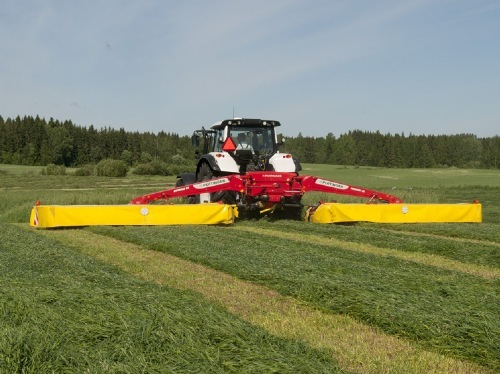 Because the underside of the cutter bar is smooth with contoured skids inside and outside, it protects the sward even on tight corners. As an option, you can fit additional wear skids to protect the underside of the cutter bar. The bolted skids can be easily changed if required. 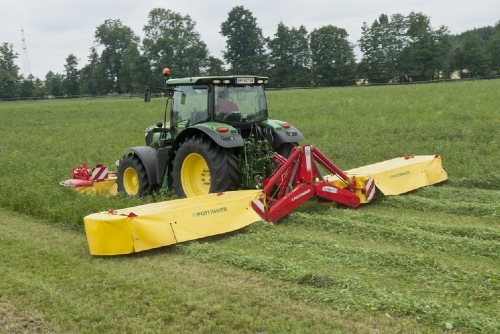 Optional high-cut skids can be mounted to increase the cutting height from 50 to 120 mm. Their large radius and wide surface area make them especially wear resistant. High-cut skid + 20 mm, the universal skid especially for stony soil. High-cut skid + 40 mm, especially for whole crop. NEW: High-cut skids for the outer pairs of skids. The cutter bar is made from the best quality steel. The metal plate is precision laser-cut and robot-welded before machining at the state-of-the-art CNC machining centre. The blade post is bolted to the mower disc. This can be replaced cost-effectively if required. The counter knife is clamped in place, meaning it is also easy to replace. Change blades quickly and easily: Press down the spring clip with the blade changing tool and replace the blade. The blade is locked securely in place by the spring clip. Lengthy, tough operation demands the best blade quality, which is why original PÖTTINGER blades are made from high-quality blade steel. A handy blade box provides space for replacement blades. The guards fold away to provide optimum access to the cutter bar. The bearing hub assembly and fittings are reliably sealed by rubber o-ring seals. The hub assembly can be removed as one unit, while the idler gears are easily removed through the openings - it could not be more straightforward. 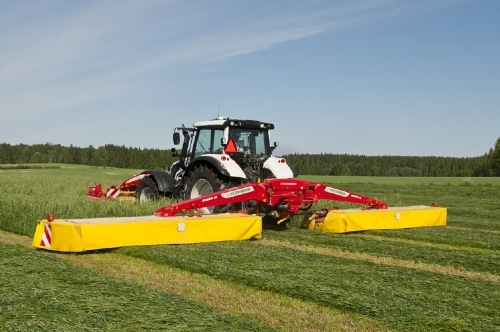 The NOVACAT S12 with centre pivot suspension is the largest mounted mower combination available on the market. 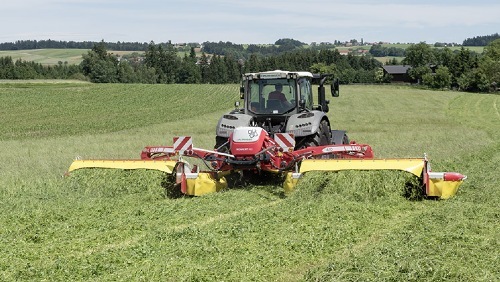 The "fuel saver" gives you a full working width of 11.20 m with a power requirement of just 160 hp and the lowest fuel consumption. 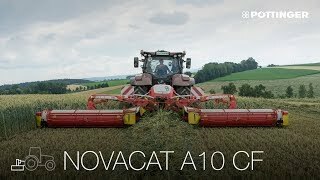 The NOVACAT S10 requires as little as 130 hp. 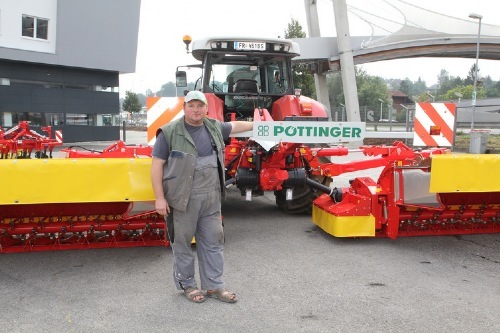 PÖTTINGER sets new standards in terms of productivity and efficiency. 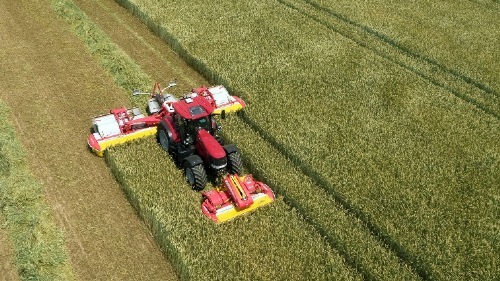 The centre pivot mounting on the cutter bars provides a travel of +/- 22.5° for perfect ground tracking. 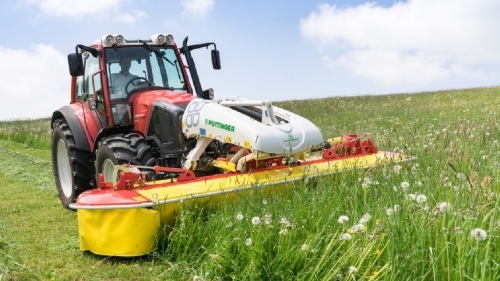 At the same time, infinitely adjustable hydraulic weight alleviation ensures optimum ground contact pressure across the entire mowing width. 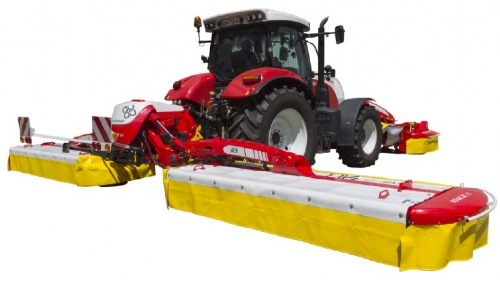 This "floating cut" guarantees excellent ground and crop protection. The hydraulic rear folding system includes a collision protection system. At the headland, ground clearance is 50 cm. During lifting, the cutter bar is secured using a stabilizer cylinder. 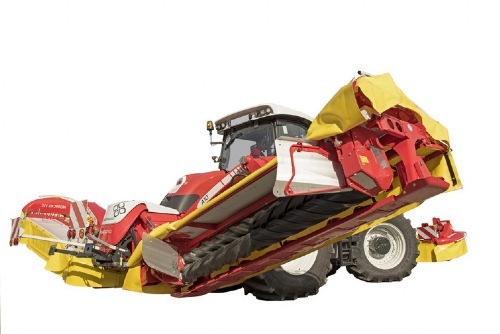 This makes it easier to drive over swaths and provides stability during transport. 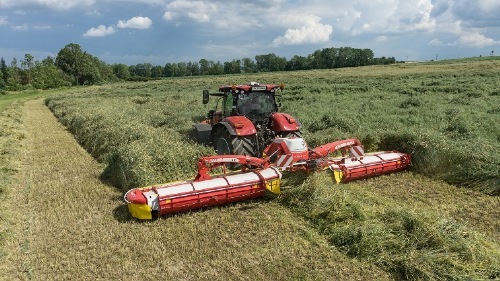 For transport, the mower can be folded backwards. 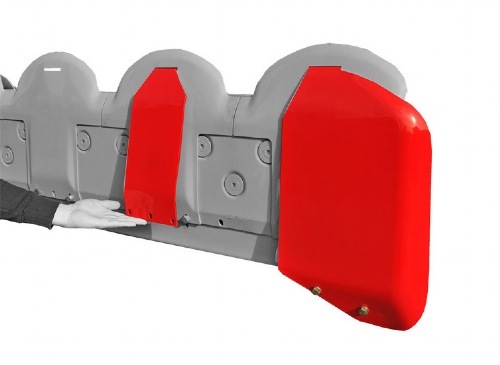 The front guards then automatically fold up hydraulically. This gives you a narrow transport width of only 2.20 m and a high ground clearance during transport. Lighting is standard equipment. 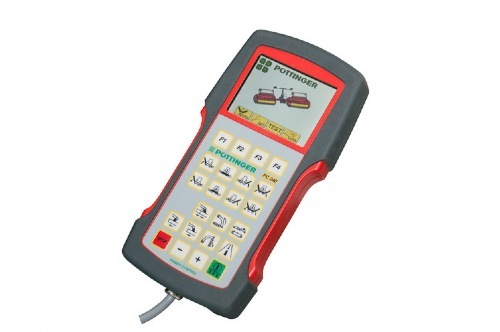 This system is conveniently operated using a double-acting remote valve. Individual unit lifting and the transport position are preselected using a rocker switch. 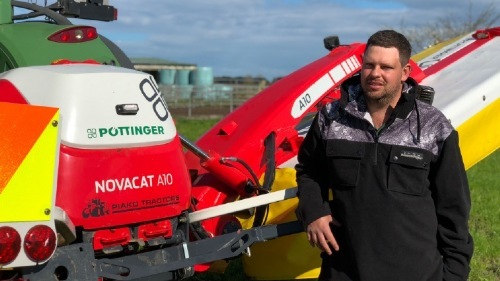 Despite an impressive working width of 11.20 m, you can operate the NOVACAT S12 tractor mower combination with a 160 hp tractor. 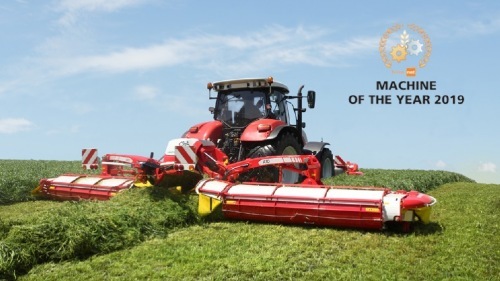 As a result you can achieve an output of up to 13 ha/h with a very low fuel consumption averaging just 2 l/ha. 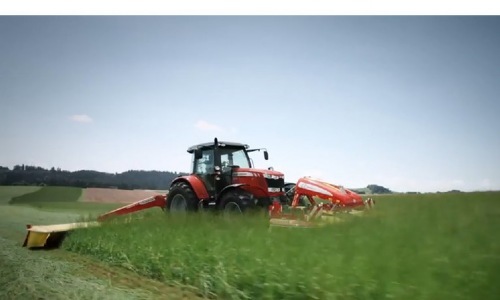 In the field, this means up to 25% more output with 25% lower diesel consumption and lower investment costs. 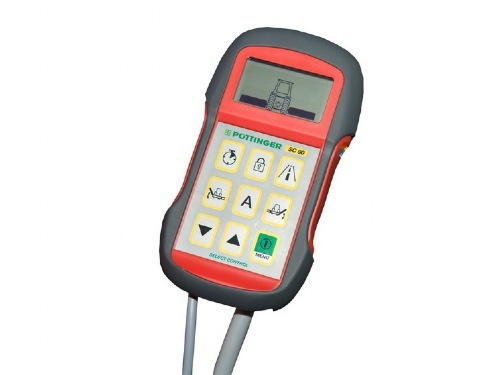 This system is conveniently operated using a double-acting remote valve. 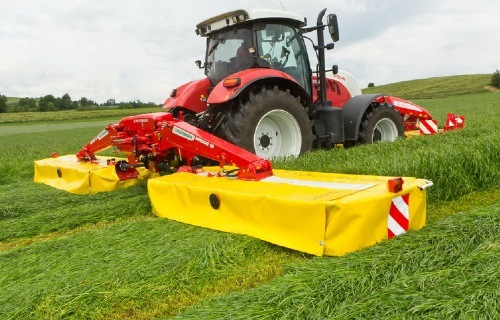 Individual mower lifting is preselected using a rocker switch, likewise the transport position.